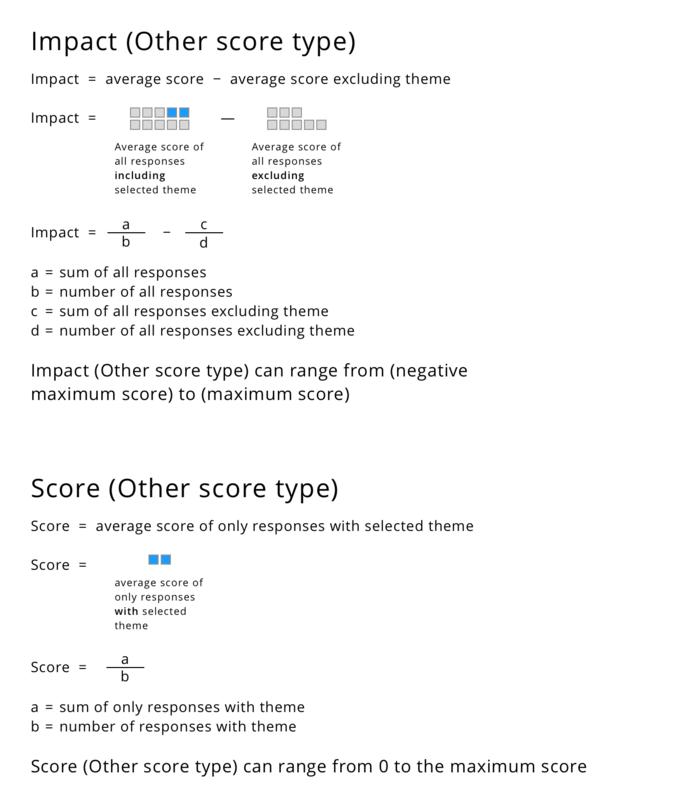 Each base and sub-themes impact and score is calculated using the following formulas, with slight differences for NPS data or other score types. 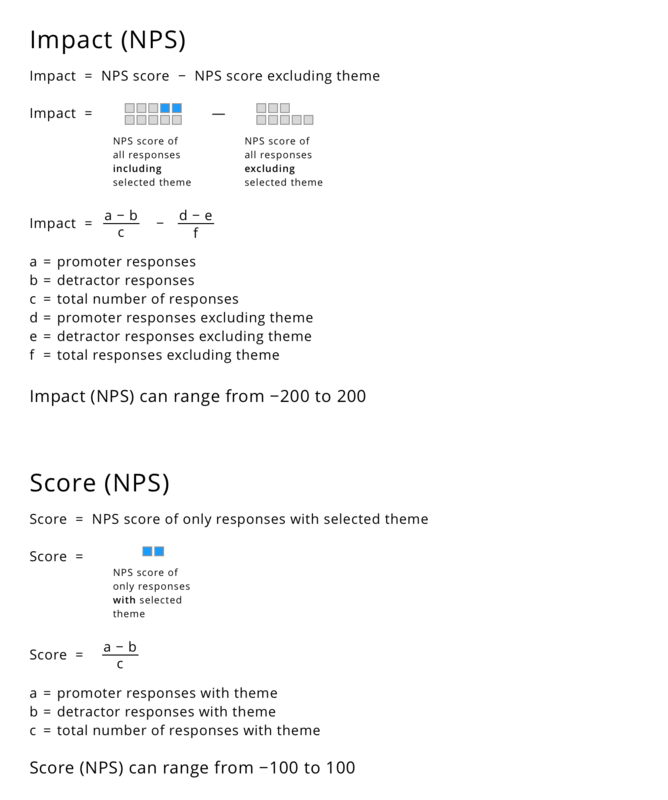 Net Promoter Score (NPS): 0-10 answers to the question, "How likely are you to recommend us to a friend or colleague?" CSAT: 1-10 answers to the question "How satisfied were you with your experience?"